PONTIAC (also spelled Pontiak, Ponteack, or Pontiague by the English in the 18th century, and Pondiac, Pondiak, or Pondiag by the French; called Obwandiyag in the Ottawa tradition of the 19th century), war chief of the Ottawas from Detroit; b. sometime between 1712 and 1725; murdered 20 April 1769 at Cahokia (East St Louis, Ill.). We know nothing of the first 30 years or so of Pontiac’s life, for French documents rarely note what happened in the Ottawa villages from 1720 to 1740. In 1736, 200 Ottawa warriors are believed to have been settled in the neighbourhood of Detroit. Since 1732 they had not lived near the French fort, but rather across from it, on the other side of the river, in a community of 800 to 1,000 inhabitants. The governors of Canada and the commandants of Fort Pontchartrain and Fort Michilimackinac without exception asserted that the Ottawas remained attached to the French and useful to them until 1744. Then came war between France and England. In 1745, 60 Ottawas and Ojibwas asked to be taken “to Montreal to fight the English.” Pontiac was perhaps one of them. In 1747 he was a witness to the conspiracy of Orontony, the Huron chief at Sandoské (in the vicinity of Sandusky, Ohio). An increase in the prices of goods for the Indians had created great discontent. The Iroquois stirred up a revolt, which was joined by some Ottawas. Detroit itself was in danger, but the plan was discovered. Did Pontiac take part in it? He is said to have denied it in a speech delivered in 1763 protesting his faultless loyalty to the French, but he must have gained experience of sedition; and he was beginning to work his way up to the office of war chief in his village, if he did not hold it already. Forced to make peace and discontented, Orontony and his group emigrated to the Ohio valley to move closer to the English. Memeskia (La Demoiselle, Old Britain) and the pro-English Miamis went off to Rivière à la Roche (Great Miami River) and founded Pickawillany (Piqua, Ohio). The French wanted to counter these lost Indian alliances and the settling of the English in their territory. 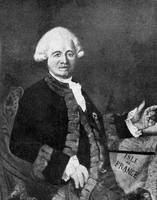 In June 1749 Pierre-Joseph Céloron de Blainville warned the English to leave the area, but the trader George Croghan nevertheless visited Pickawillany in 1752. Shortly afterwards the village was wiped out by Charles-Michel Mouet* de Langlade at the head of 240 Canadians and Ottawas, one of whom was perhaps Pontiac. In 1754 the French, under Claude-Pierre Pécaudy* de Contrecœur, seized a trading post being built by the English and enlarged it as Fort Duquesne (on the site of present-day Pittsburgh, Pa.). Thus began the hostilities leading up to the Seven Years’ War, which the Anglo-Americans called the French and Indian War because the Indians took such an active part in it. 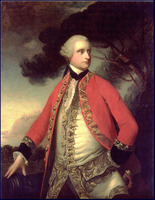 In 1755 a British army commanded by Edward Braddock set out to capture Fort Duquesne. Pontiac may have been among the Indians, some 800 to 1,000 strong, who, with Jean-Daniel Dumas* and the French garrison, inflicted a terrible defeat on the British not far from the threatened fort. Some 300 Ottawas from Detroit and 700 from Michilimackinac remained at Fort Duquesne until 1756. They were vigilant scouts and multiplied their raids into the British colonies. A year later Montcalm brought a certain number of these Algonkians to Montreal and took them on an expedition against Fort William Henry (or Fort George, now Lake George, N.Y.). Among his forces were 30 Ottawas from Pontiac’s village. In 1757 Pontiac delivered a speech before Pécaudy de Contrecœur at Fort Duquesne. 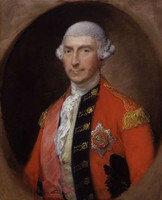 He maintained that George Croghan had just tried to deceive him by claiming that Quebec had fallen and had called upon him to become an ally of the British. 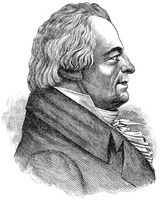 Pontiac said that he had resisted his advances and recalled the advantageous promises made to the friends of the French. In 1758 some Ottawas from Detroit were still fighting for France not far from Fort Duquesne, which the French abandoned to John Forbes on 24 November. In the colonial period many Algonkians often changed European allies. They scorned the vanquished and frequently went over to the side of the strongest and most generous. Would Pontiac and his men break their longstanding alliance with the French? After the capture of Louisbourg, Île Royale (Cape Breton Island), and forts Duquesne, Carillon (Ticonderoga, N.Y.), and Niagara (near Youngstown, N.Y.) in 1758–59, the victory of the British became a predictable certainty. 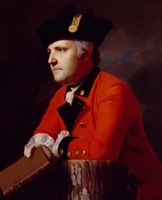 Croghan, who had been appointed deputy superintendent of western Indians, did not fail to point out to the Algonkians the inevitability of an eventual British victory in order to draw them to trade with him. At a meeting he held in August 1759, two of the leading Ottawas are reported to have been present and to have given proof of their goodwill towards the English. Pontiac was not there. In November 1759 his village was so divided that the pro-English faction and its chief moved to the region south of Lake Erie. About 200 Ottawas remained near Detroit. The following year, when the capitulation of the French was imminent, Croghan prepared the western Indians for the coming of British rule. He promised a much more liberal system of trade. In August 1760, along with other chiefs from Detroit, Pontiac may have gone to see him to find out how he would be treated. He was perhaps playing for time, trying to evaluate the eventual relations between the Indians and the English. Montreal surrendered on 8 Sept. 1760. Major Rogers and his 200 rangers were immediately sent to take possession of Detroit. It seems that they met Pontiac on the way at the mouth of the Detroit River, on 27 November. He is supposed to have come to welcome the detachment with a group of Ottawas, Hurons, and Potawatomis. He is said to have shown, in complete sincerity, a peaceful attitude and one that was favourable to the arrival in his country of people who quite recently had been his enemies – a typical change in response to promises of full and free trade. The French supplied the Indians with munitions and heaped presents and free services upon them. The English did not intend to continue the custom. Nevertheless, while waiting for regulations establishing new commercial relations, the commandant of Detroit, Donald Campbell, tried, more or less successfully, to maintain the bartering customs that had been followed up till that time by the French. 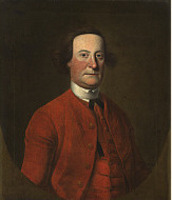 Sir William Johnson*, the superintendent of northern Indians, advised General Jeffery Amherst*, the commander-in-chief, to continue allowing supplies and munitions to be given to the Indians. General Amherst agreed, but noted: “When the Intended Trade is once Established they will be able to supply themselves with these, from the Traders. . . .” The British régime brought other changes in the west: trade was to be carried on only at the posts, and the rum trade was to be completely done away with. The Indians were deeply disappointed and lost no time in protesting. In June 1761, according to Campbell, they incited “all the Nations from Nova Scotia to the Illinois to take the Hatchet against the English.” Johnson was alarmed and called a great peace conference at Detroit in September 1761. 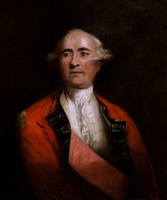 A strong contingent of troops, under the orders of Henry Gladwin*, joined him there. This contingent was to complete the occupation of all the newly conquered posts. Just before arriving at Detroit, Johnson received from Amherst a letter forbidding the custom of buying the Indians’ good conduct with presents; he considered this decision so unwise that he said not a word about it to the Indians at the meeting and even offered them presents. 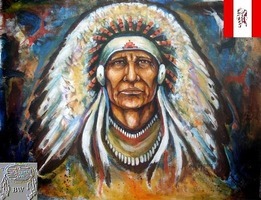 Instead of Pontiac, another chief spoke in the name of the Ottawas. It is not possible to say whether Pontiac had simply wanted to let the civil chief Mécatépilésis, who was older, speak, or chose to remain silent because he already no longer believed in the possibility of a modus vivendi with the British. A short time after the meeting the Indians became bitterly aware that Amherst’s secret orders had been put into force. In the spring of 1762, at the end of the hunting season, they were suffering from a serious scarcity of rum, powder, and lead. Johnson urged Amherst to return to French trading practices, but the general rejected his advice. The rumour then spread of an eventual recapture of Quebec which encouraged the Indians to revolt. In the summer of 1762 a council met secretly in the village at Detroit. Ottawa, Ojibwa, Huron, Potawatomi, and other chiefs from Lake Superior were present, along with two Canadians. The motives for the meeting are not precisely known, but presumably they were warlike and Pontiac instigated the gathering, for he was on his own territory and he was a war chief. Like his neighbours, he was perhaps impressed by the words of Neolin, an Abenaki or Delaware, who claimed divine inspiration and loudly declared the necessity of returning to the values recognized before the arrival of the Europeans. The prophet urged his listeners to abstain completely from contact with whites. He praised “all the northern tribes,” particularly their warriors, according to Jean-Jacques-Blaise d’Abbadie, the general commissary and ordonnateur in Louisiana, who spoke of him in the following terms: “. . . Among the Abenakis a man of that tribe had no difficulty in convincing all his people and in turn all the Red men that God had appeared to him and had said to him ‘. . . I warn you that if you allow the English among you, you are dead, maladies, smallpox, and their poison will destroy you totally, you must pray to me and do only my will.’” Pontiac must have listened to the prophet, and whether or not he was still loyal to France, he must have understood the ultility of such preaching in justifying the annihilation of the English. A speech he made in 1763 at Rivière à l’Écorce (some miles south of Detroit) gave evidence of that. Like the Weas in the west, the Senecas stirred up a centre of rebellion in the east in 1762. They intended to promote an uprising of all the Indians. To their neighbours the Delawares they sent an “underground belt,” which then reached the Shawnees. The Miamis of the upper Ouabache (Wabash) River received it in March 1763. At the beginning of the year the Senecas also sent the Hurons a war message. But the conflict they were trying to instigate did not come about. Robert Holmes, the commandant of Fort des Miamis (Fort Wayne, Ind., or nearby), intercepted their first wampum belt. The second one provoked no reaction from its recipients. Upon his return from the hunt in the spring of 1763 Pontiac wanted to launch an armed uprising. Having been assured of the support and the arrival of the Potawatomis of Ninivois’s band and Také’s Hurons, two communities that were neighbours of his, he convoked the first of a number of secret councils at the Rivière à l’Écorce on 27 April. About 460 warriors came, including those from his own village. A plan of attack was worked out. Three days later, 40 to 60 Indians got into Fort Detroit on the pretext of wanting to “dance the Calumet” for the occupants, and they took advantage of their visit to observe the state of the garrison and locate the magazines. Before launching the attack, Pontiac is supposed to have tried to bring in other Algonkian groups with messages he sent to them: the Ojibwas from the Baie de Saguinam (Saginaw Bay), the Ottawas from L’Arbre Croche (Cross Village, Mich.), and the Mississaugas from the Rivière à la Tranche (Thames River). A second conference was held on the Potawatomis’ territory, but the Algonkians who had been invited did not attend. The plan took form. The Indians were to ask Gladwin, the commandant at Detroit since 23 Aug. 1762, to bring together a great council. They were to make their way into the fort, hiding their arms under their clothes; a certain number of arms would be distributed to the French residents, and the conspirators would go into action on a signal from Pontiac. The Ottawa chief claimed that François-Marie Picoté* de Belestre, the former commandant of Detroit, had sent him a war belt. An informer – his name is a matter for conjecture – had warned Gladwin of the plot. On 7 May Gladwin nevertheless let some 300 of the factious Indians into the fort, but he had doubled the guard. He and his officers wore their swords at the assembly on the parade ground, and the whole garrison surrounded the intruders. Pontiac then realized that his scheme was known. He did not give the order to fight. After this failure he went next day with three Ottawa chiefs to parley with Gladwin, in order to alleviate his suspicions; he claimed that there had been a misunderstanding about his men’s attitude, and announced that he would come back to the fort with them shortly “to smoke the pipe of peace.” In the meantime he invited the Hurons, Potawatomis, and Canadians from round about to play lacrosse in his village, to display their peaceful intentions. On 9 May he returned to Detroit with 65 canoes to make a second attempt. This time Gladwin did not open the gates. Annoyed, and wishing moreover to preserve his influence, the Ottawa chief rapidly changed his tactics. He decided to besiege the fort and to set ambushes around it. There were soon victims among the farmers, and upstream the Ojibwas attacked Charles Robertson’s detachment; they killed Robertson as well as Sir Robert Davers and two soldiers. So far, few Canadians had collaborated actively with Pontiac. Towards the end of May 1763 a dozen of them went to see him to complain of pillaging and to make clear their intention of remaining neutral. The Indian chief promised to put an end to the depredations and in return asked them to bring provisions and to let the Indian women grow corn in their fields. The uprising spread for a month throughout the pays d’en haut, and signal victories give an indication of its extent. 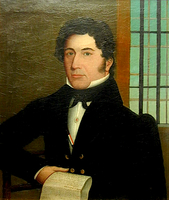 At the end of May Lieutenant Abraham Cuyler, unaware of the disturbances raging west of Lake Erie, left Niagara with 96 men and 139 barrels of provisions. Ten boats took them towards the imperilled fort at Detroit. A party of Ottawas surprised them at Point Pelee; 46 of the English were taken prisoner and two boats were captured. On 26 May forts Saint-Joseph and Miami fell into the hands of the Miamis and Illinois. The Weas, Kickapoos, and Mascoutens seized Fort Ouiatanon (near Lafayette, Ind.) on 1 June, and the next day the Ojibwas took Michilimackinac. Lieutenant James Gorrell and his troops then abandoned Fort Edward Augustus (Green Bay, Wis.). In Pennsylvania the Delawares and Senecas occupied William Chapman’s store on 27 May, then laid siege to Fort Pitt (formerly Fort Duquesne). Early in June the Shawnees joined the Delawares. The Senecas burned Venango (Franklin, Pa.) around 16 June and a few days later they took possession of Fort de la Rivière au Boeuf (Waterford, Pa.). On 21 June, together with 200 Ottawas, Hurons, and Ojibwas from Detroit, they seized Fort de la Presqu’île (Erie, Pa.). Progressively the highest authorities in the colonies were informed of the agitation that reigned among the Indians. Amherst was ill acquainted with the Indians, and in his incredulity underestimated the gravity of the situation. On 16 June he was informed of the losses that had been inflicted upon Cuyler’s convoy. He then sent his aide-de-camp, James Dalyell, to Albany with orders to pick up troops and take them to Fort Niagara, and as far as Detroit if the uprising had not already been crushed. For its part, the Pennsylvania assembly decided to recruit 700 soldiers to defend the colony. The surrender of the various English posts considerably heightened Pontiac’s prestige west of the Appalachians. 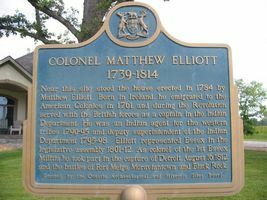 More than anyone else he had set off the resistance of the Indians, but, though he was recognized at least theoretically by all the insurgents, he had under his immediate command only those besieging Detroit, that is, about 870 warriors, according to the figure given by the author of the Journal of Pontiac’s conspiracy. When he established that figure on 9 June, this witness was perhaps not counting the 200 Ottawas, Hurons, and Ojibwas who had been sent to Fort de la Presqu’île and a smaller number of Potawatomis who had already gone to Saint-Joseph. The groups gathered about Detroit for a common cause slowly began to disintegrate, however. During a drinking bout some Ottawas tortured several prisoners and threw them into the river. Angered, the Potawatomis went to see Gladwin to tell him that they had been forced into the war by the Ottawas. Téata’s Hurons met the commandant to negotiate an understanding. 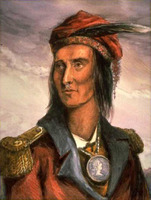 Kinonchamek, the son of a highly respected Ojibwa chief, blamed Pontiac for having violated the rules of war, to which charge the Ottawa chief gave no reply. Pontiac made one final attempt to win over the Canadians who had remained out of the action; Zacharie Chiquot and possibly 300 young men agreed to follow him. Other Frenchmen, however, took sides with the English and formed a company to reinforce the garrison of the fort. Meanwhile Cuyler reached Detroit, bearing the text of the treaty of Paris. Subsequently, on 6 July, the Potawatomis dissociated themselves from Pontiac; Také’s Hurons likewise broke their alliance. On 25 July Jacques Godfroy returned from Fort de Chartres with the news that Neyon would not send the reinforcements that had been hoped for. The British reinforcements, consisting of 260 soldiers under Dalyell, arrived under cover of fog on 29 July. No sooner had he reached Detroit than, against Gladwin’s advice, the young and ambitious Dalyell rushed into a risky and spectacular expedition. In the night of 1 August he set out with a contingent of 247 men to surprise the besiegers’ camp. Some Canadians had warned the Indians the day before of the manœuvre. Pontiac hoped through a practice rather uncommon among Indians to encircle the enemy, but he only half succeeded: a bloody encounter ensued on the bridge across Parent’s Creek (later called Bloody Run), and the British, cut to pieces, hurried back to the fort. Among the numerous dead was Dalyell. At Detroit the defenders were still resisting. It was already September, and Pontiac could not prevent the schooner Huron and the sloop Michigan from bringing provisions and ammunition to the besieged. He would have had to change his strategy, that is to say, risk a massed charge against the fort. For Algonkians, divided up in small bands, warriors – even a few – were not thought to be expendable, and a concerted offensive could entail considerable losses. Despite the news – false, at it turned out – of the impending arrival of Louis Liénard* de Beaujeu de Villemomble’s forces, and despite a final appeal by Pontiac, little by little most of his Ojibwa and Ottawa followers deserted him in October and scattered to their winter hunting grounds. Having lost credit among his followers, Pontiac decided to go himself to see Neyon, to win him over to collaboration in his plan. On the way he stopped among the Hurons at Sandoské, who were not yet pacified, and made an encampment for the winter with several Ottawa families on the Rivière des Miamis (Maumee River). Some Frenchmen who had fought with him and were fleeing Detroit joined him. The group started out again in the early spring of 1764 and in March arrived among the Illinois, whom Pontiac stirred up. On 15 April Pontiac was received by Neyon and asked him to reinforce his “army at Detroit, where it continues the war against the English and will not stop until there are no more Red men.” Neyon declared that he no longer wanted to fight, since the English and French had become brothers and were living in peace. The chief did not accept his argument and did not want to hear more; he returned to sow discontent among the Illinois. In July 1764 he was back at his encampment on the Rivière des Miamis. The Delawares and the Hurons at Sandoské were remaining at peace, and in his absence the chief Manitou, his rival, had undertaken to pacify Pontiac’s last partisans, and had consequently brought about a split in the village. 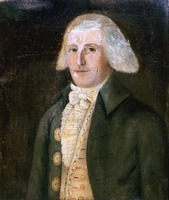 In the summer of 1764 Pontiac did not attend Sir William Johnson’s conference at Niagara, where only those groups which had taken no part in the uprising were represented. Pontiac avoided punishment by two expeditions under John Bradstreet* and Bouquet, who had been sent to put down the last resisters. He was not present at the meeting of the Indians that was held at Detroit on 5–7 September. 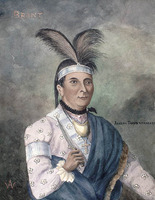 Little is known of Pontiac’s activities during the autumn of 1764; the following winter he kept fomenting disturbances along with Minweweh, some habitants, and a Shawnee chief, Charlot Kaské. Pontiac may have sought to bring the northern and southern Indians into a confederation. But if he did not try this, he at least urged the Arkansas to rise in rebellion. 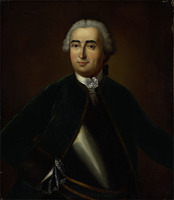 For his part, Charlot Kaské sought vainly on 27 Aug. 1764 the military support of Louis Groston* de Saint-Ange et de Bellerive, the commandant at Vincennes (Ind.). The “Shawnee chief and another from the Illinois who had been delegated by more than 40 villages which are at war with the English” appealed to the French authorities in New Orleans in December 1764 and February 1765, but they obtained no assistance. The Illinois did not, however, lay down their arms, and Pontiac encouraged them to prevent the English from occupying their land. The English sent them two peace missions. The first came to nothing, but the second, which met with Pontiac on 18 April 1765, succeeded in making him give in for good. Saint-Ange and Lieutenant Alexander Fraser finally convinced him that the only two reasons he had for continuing to stir up conflicts were no longer valid: the Shawnees and Delawares had been pacified and the Illinois territory no longer belonged to the French. 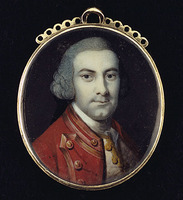 George Croghan conferred with Pontiac at Ouiatanon in July 1765, and a preliminary agreement was signed. Pontiac stipulated as one condition for peace that the British should not consider that the surrender of the French forts gave them the right to own the whole country and to colonize it: the French had settled among the Indians only as tenants, and not as owners. Pontiac and Croghan went to Detroit to have the agreement ratified by a gathering of Ottawas, Ojibwas, Hurons, and Potawatomis. The French had not conquered them and had not bought their lands, the chiefs from the Ouabache River repeated to Croghan, and therefore their territory could not be handed over to the English. In the spring of 1766 the Algonkian chiefs went to Fort Ontario (Oswego, N.Y.) to sign a final treaty. Sir William Johnson presided over the ceremony in July. Previously the rumour had spread that Pontiac would receive a captain’s pay from the British authorities, which roused the jealousy of the other chiefs. Their envy increased at the conference when Johnson had Pontiac speak in the name of all of them and showed him exceptional deference, thus winning his allegiance. In the autumn of 1766 and the summer of 1767 dissatisfied groups sought Pontiac’s complicity to continue the struggle against the English. He continued nevertheless to declare his loyalty to England, thus setting his former allies against him; his village even decided to banish him. Subsequently he appears to have alienated the Illinois for some reason. When he reappeared at Kaskaskia (Ill.) a year later, with a group of relatives and friends, he caused some anxiety, as the Kaskaskias were afraid of him; they spread the report that he had an army and was going to attack the Illinois confederacy. He was there, however, only to sell his peltries. On 30 March 1769 he went to Cahokia. Nearby there was a village of Peorias, well known for their vindictive murders, who met in council in April and decided that one of them, the nephew of the chief Makatachinga, would execute Pontiac. The sinister plan was carried out on 20 April, just as the famous Ottawa, accompanied by the murderer, was leaving the Baynton, Wharton, and Morgan store in Cahokia. Without delay, and to demonstrate the innocence of the English in the affair, the commandant of Fort Cavendish (as Fort de Chartres had been renamed), John Wilkins, ordered a local businessman to bury the victim. The merchant is believed to have let the French carry the body to the other side of the Mississippi, and they are supposed to have buried it, not without honours, at St Louis (Mo.). The exact burial place is still unknown. Only Minweweh tried to avenge the foul deed. He killed two employees of Baynton, Wharton, and Morgan. “Pontiac [is] forever famous in the annals of North America,” someone wrote as early as 1765, and history has retained his name, even if his actions did not achieve the result he anticipated. He was able to persuade a great number of Indians from the “old west” to join him, but he convinced too few Frenchmen, and was therefore prevented from carrying out his plan. He was unable to set on foot an army which through its numbers and tactics could have equalled that of his opponents. Pontiac did not lack stature and fought with exceptional discernment and tenacity. His nation had transmitted to him the rules for his strategy, and generally he followed them. From this point of view we cannot judge him by our criteria. His speeches at the beginning of his activity demonstrate his down-to-earth preoccupation with subsistence; prompted by it he compared two conceptions of trade to try to choose the less enslaving. But he also perceived with great acuteness the problems that would afflict the Indians for generations to come: the threat of assimilation and the slow taking-over of their lands by a European population constantly implanting its frontier and its culture farther west. AN, Col., C11A, 33–47, 75–105; C13A, 42–51. [Henry Bouquet], The papers of Col. Henry Bouquet, ed. S. K. Stevens et al. (19v., Harrisburg, 1940–43). Critical period, 1763–65 (Alvord and Carter). “The Gladwin manuscripts,” ed. Charles Moore, Michigan Pioneer Coll., XXVII (1896), 605–80. D. E. Heineman, “The startling experience of a Jewish trader during Pontiac’s siege of Detroit in 1763,” American Jewish Hist. Soc. Pub. (Baltimore, Md. ), no.23 (1915), 31–35. [Thomas Morris], Journal of Captain Thomas Morris, from Miscellanies in prose and verse (London, 1791; repr. Ann Arbor, Mich., 1966). [Robert Navarre? ], Journal of Pontiac’s conspiracy, 1763, ed. C. M. and M. A. Burton, trans. R. C. Ford (Detroit, 1912). New régime, 1765–67 (Alvord and Carter). Robert Rogers, A concise account of North America (London, 1765; repr. New York, 1966); Journals . . . (London, 1765). The siege of Detroit in 1763: the journal of Pontiac’s conspiracy, and John Rutherfurd’s narrative of a captivity, ed. M. M. Quaife (Chicago, 1958). William Smith, An historical account of the expedition against the Ohio Indians in the year 1764 under the command of Henry Bouquet . . . (Philadelphia, 1765); repr. as Expedition against the Ohio Indians (Ann Arbor, Mich., 1966). DAB. A. J. Blackbird, History of the Ottawa and Chippewa Indians of Michigan, a grammar of their language, and personal and family history of the author (Ypsilanti, Mich., 1887). Lewis Cass, “Discourse delivered before the historical society of Michigan,” in Historical and scientific sketches of Michigan (Detroit, 1834). 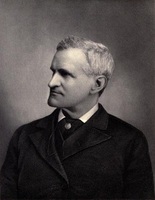 Francis Parkman, The conspiracy of Pontiac and the Indian war after the conquest of Canada (10th ed., 2v., Boston, 1886; repr. New York, 1962). Peckham, Pontiac [This study is thoroughly researched and the author’s interpretations are well-founded. l.c.]. H. R. Schoolcraft, Algic researches, comprising inquiries respecting the mental characteristics of the North American Indians (2v., New York, 1839). C. E. Slocum, History of the Maumee river basin from the earliest account to its organization into counties (Indianapolis, Ind., Toledo, Ohio, 1905). C.-M. Boissonnault, “Les Canadiens et la révolte de Pontiac,” RUL, II (1947–48), 778–87. Louis Chevrette, “Un modèle psychologique de processus du changement social et un concept d’idéologie y intégré,” Culture (Québec, Montréal), March 1971, 405–14 [The case of Pontiac’s uprising confirms this cognitive model set forth without any normative proposition. l.c.]. O. W. Collet, “Notes on Parkman’s ‘Conspiracy of Pontiac’,” United States Catholic Hist. Magazine (New York), II (1888), 35–48. C. E. Hunter, “The Delaware nativist revival of the mid-eighteenth century,” Ethnohistory (Tucson, Ariz.), XVIII (1971), 39–49. “Potier’s connection with Pontiac’s conspiracy,” Detroit Evening News, 18 Feb. 1899. Louis Chevrette, “PONTIAC,” in Dictionary of Canadian Biography, vol. 3, University of Toronto/Université Laval, 2003–, accessed April 22, 2019, http://www.biographi.ca/en/bio/pontiac_3E.html.